Reef Tiger Seattle Sea Hawk watch was inspired from hovered Sea hawk on the sea, makes the heart of the mechanical watch, hairspring balance pendulum system redesign at 9 o’clock. The use of stone, carved plywood makes the whole piece of wristwatch present an aggressive momentum. Reef Tiger adds glory to your entrepreneurial journey with superb watch making techniques and unique design ideas. 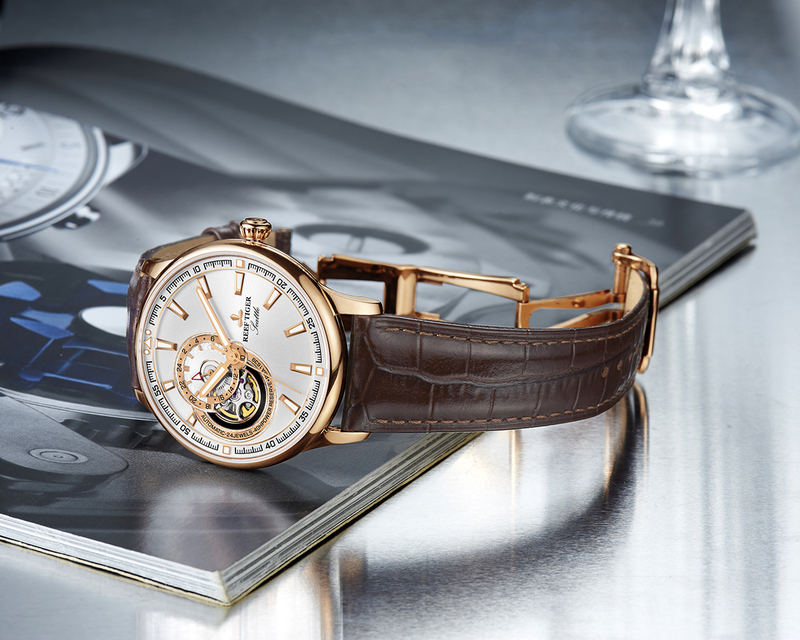 As is well-known, movement is the heart of a watch. The stability of the movement directly related to the life of the watch. Reef Tiger remold the excellent Reef Tiger RT7902 Automatic Movement following the watch factory. 24 Jewels, 21600BPH is to ensure the day error rate not exceed 10 seconds. 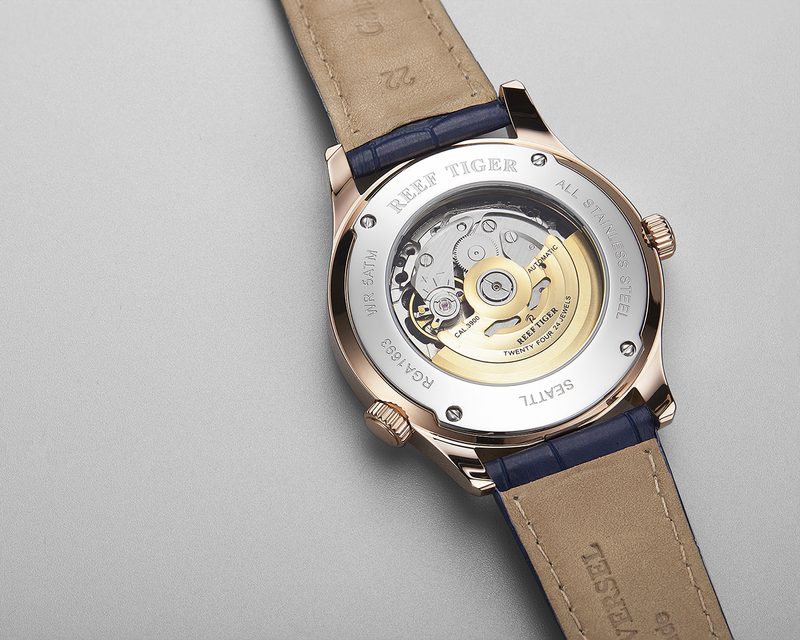 It is the core of Reef Tiger best horological technology. 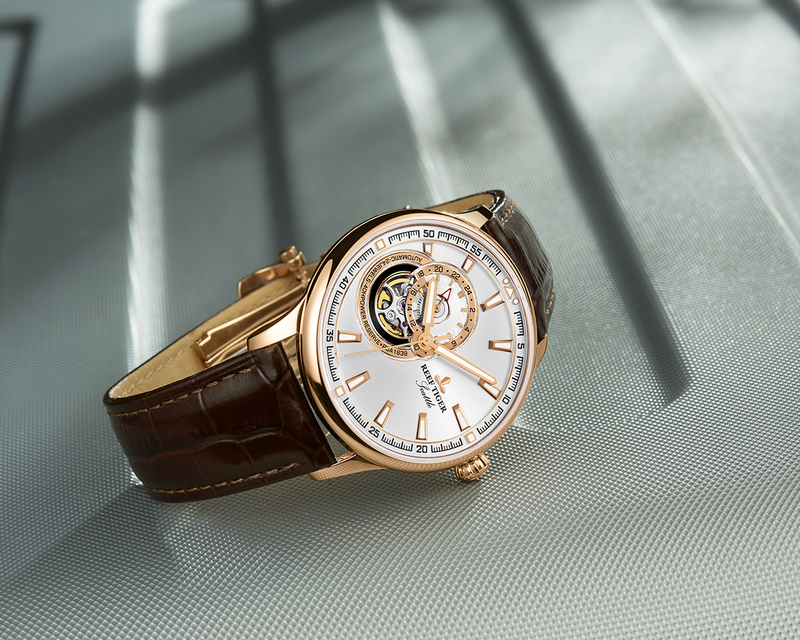 The technical core of the watch is that it carries the RT3900 pendulum movement. The whole flywheel is completely open, and the delicate operation posture is so eye-catching and amazing.